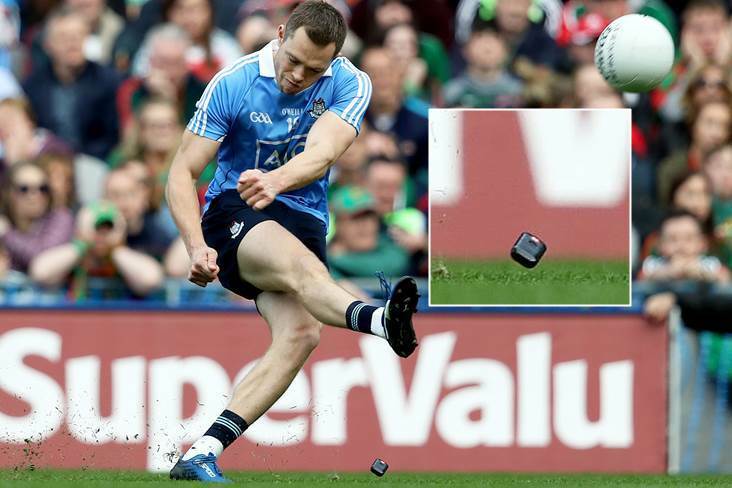 Dublin's Dean Rock scores a winning point from a free against Mayo and inset a GPS device which was thrown at him. There was plenty of controversy to go around in the 2017 GAA season and here we pick some of the stand out moments from the past 12 months. It seems everyone was talking about this incident in the days and weeks that followed Dublin's three-in-a-row All-Ireland success. Dean Rock's free proved the difference between the Dubs and Mayo after an enthralling finale at Croke Park - even despite Lee Keegan's best efforts to throw the Ballymun sharpshooter off as he struck the winning free in the sixth minute of injury-time. 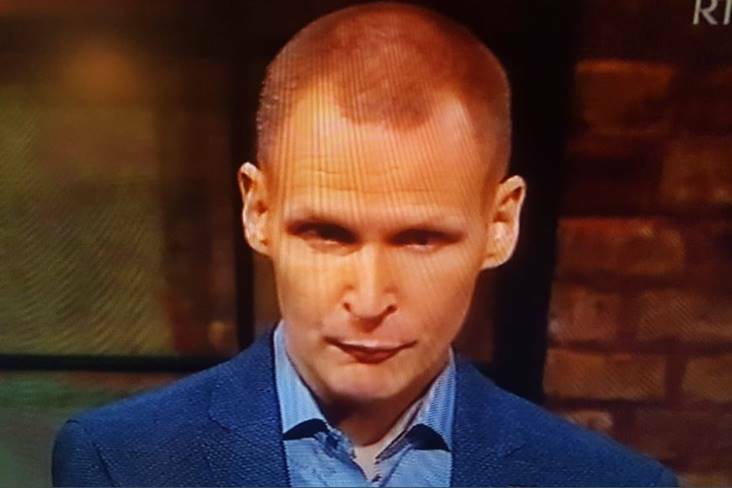 Three months on, the opinion over the Westport man's tactics to prevent Rock sailing over still remains as divided as ever. Dublin star Diarmuid Connolly missed three months of championship action as a result of a push on linesman Ciaran Brannigan during the capital men's Leinster championship victory over Carlow. While the St Vincent's man didn't face any punishment referee Sean Hurson during the game itself, he'd be cited by the CCC and eventually handed a 12-week suspension. The Dubs went about their business without Connolly's services and come the big day in September it was his wizardry that earned Dean Rock what proved the winning free against Mayo at Croke Park. Former Hurler of the Year Austin Gleeson was a lucky boy not to miss this year's All-Ireland final for this one. Following a tussle with Luke Meade in the first-half of the semi-final, the Cork forward's helmet left his head and was clearly in the Mount Sion man's hand. There had been speculation that Gleeson would face a suspension for the incident but nothing came of it and he got to play in the decider against Galway. His namesake Conor would not be so lucky. Waterford fans were up in arms over this one and it's not hard to understand why. 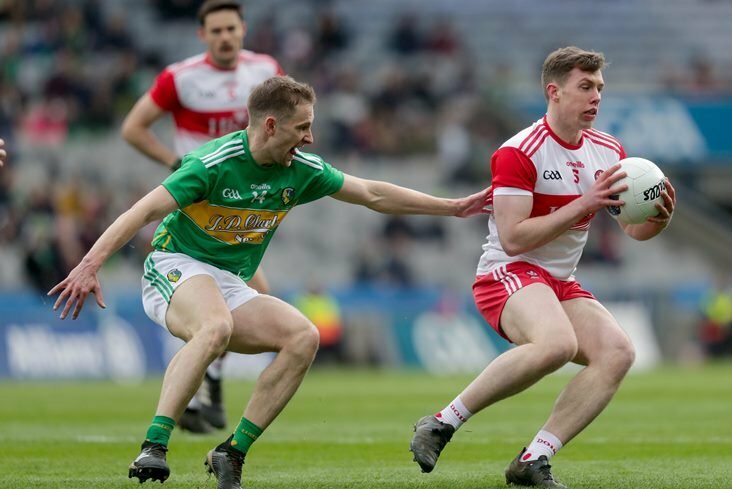 Tadhg de Búrca missed his county's All-Ireland semi-final against Cork as a result of this clash below with Wexford's Harry Kehoe in the latter stages of the game at Pairc Ui Chaoimh. 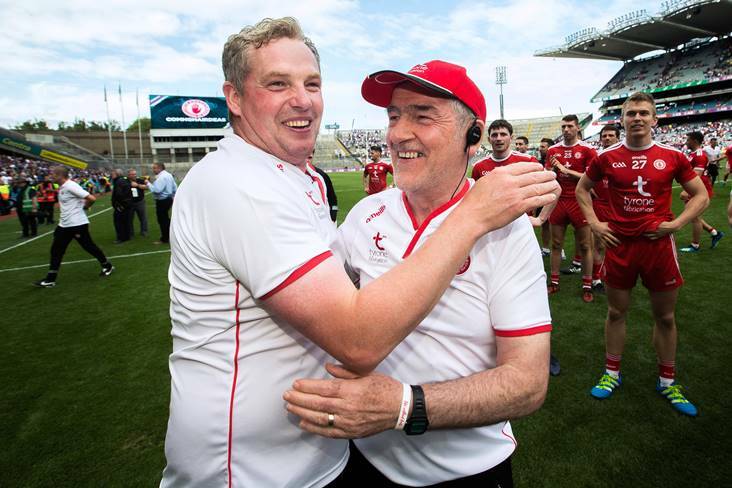 Fortunately for Tadgh, his team mates overcame Cork's challenge the next day and he was able to line-out in an All-Ireland final. He's never one to back down and in April Wexford boss Davy Fitzgerald earned himself an eight-suspension for that high passion that makes Davy, Davy. A clash with some of the Tipperary players during his side's Allianz League semi-final defeat was caught by TG4's cameras (see below) and earned the Clare man the hefty touch-line suspension. Tipp's Jason Forde also picked up a one-match ban for his part in the incident. On the morning of February 25th, it was decided at annual Congress that a round-robin system at the All-Ireland SFC quarter-final stage would be introduced for 2018. Cork and the GPA were the only speakers against the controversial Motion 4, which passed by a margin of 76%-24%. Kerry, Meath, Galway, Donegal, Mayo, Monaghan and former GAA president Sean Kelly all spoke in favour of its introduction. So one-sided was the debate that it prompted GAA president Aogan O Fearghail to ask if any of the delegates at Croke Park would like to speak against the motion. The new structure will see the introduction of two four-team groups to replace the All-Ireland SFC quarter-finals for the next three years. In May, two-time All-Ireland winner and RTE pundit Bernard Flynn took aim at Mayo's Aidan O'Shea over taking 'photographs and selfies' with kids after a challenge game against Meath. 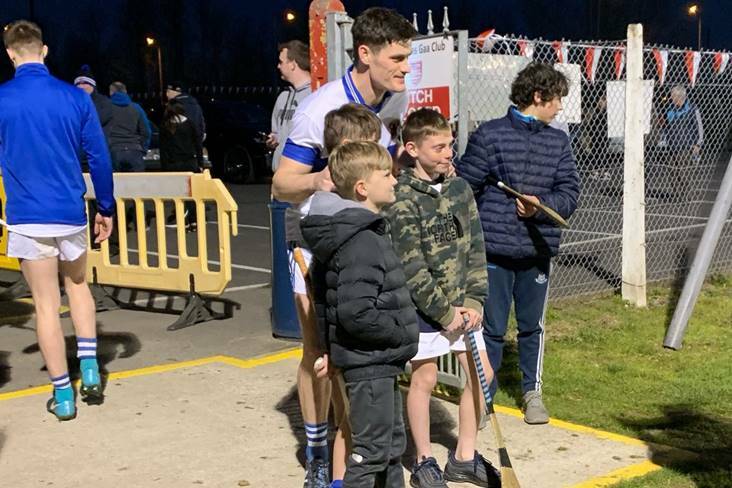 Flynn described the scene at the end of the game in Mullingar, saying that O'Shea signed autographs and took pictures with kids while his team mates were in a huddle after the game. 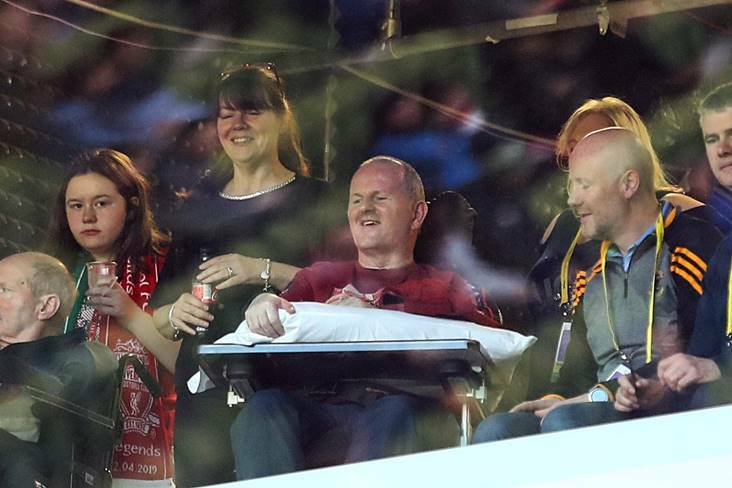 "I helped organise the challenge," Flynn told the RTE podcast. 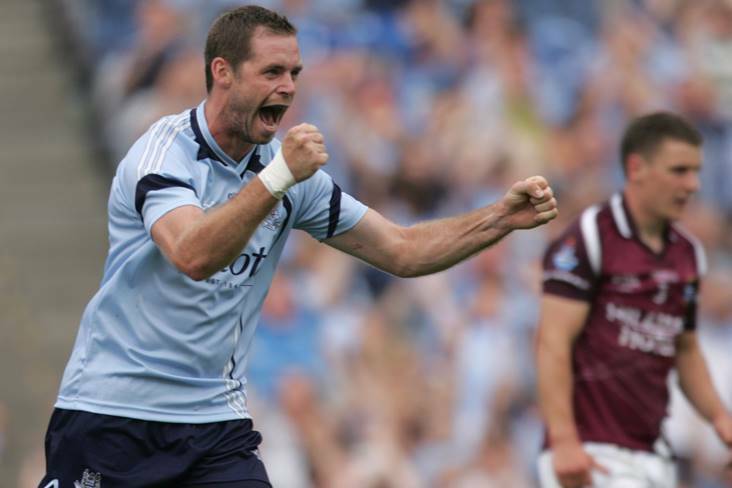 "At the very end of the match, the Mayo players got around in the circle. O'Shea had finished the match. There were 15-20 kids around, he signed autographs. The team was in a circle about ten yards away. No-one asked him to leave what he was doing, every other player was in a huddle, talking. He was left outside and allowed to do as he wanted. "That happened. He decided to come into the ring when all the photographs were finished, which I found absolutely incredible." O'Shea later responded to Flynn's comments in July, by saying: "When I became an inter-county footballer, I made a conscious decision to make sure I was obedient, especially to kids. It's an important part of what the GAA is about, what we're all about as a community. Sometimes that gets lost in the overall thing." July's All-Ireland SFC Round 3B qualifier between Armagh and Tipperary seen match referee Paddy Neilan having to be escorted off the field of play at Semple Stadium after the full-time whistle. The Roscommon official came in for some heavy criticism for some of his decisions during the game, which the Orchard men won on a 1-17 to 1-15 score-line in the end. It may have been his best season to date in a Mayo jersey but 'Footballer of the Year' Andy Moran came in for some rough treatment from some Roscommon fans at the end of July. 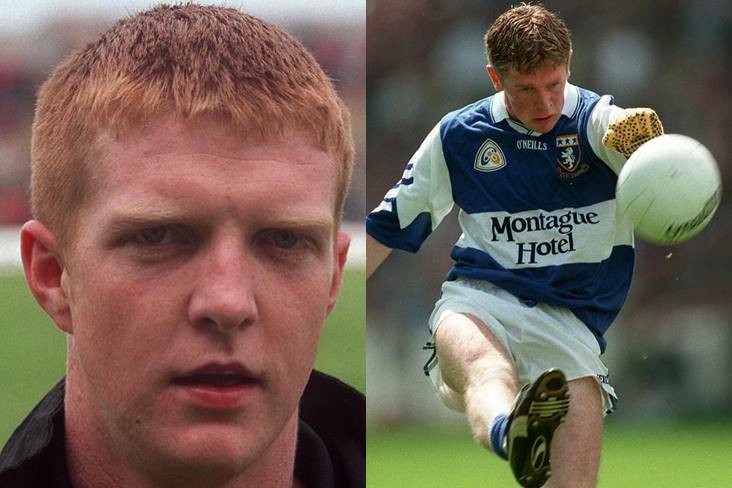 Hailing from Ballaghaderreen, a town which is geographically located in Roscommon but is associated with Mayo when it comes to the GAA, Moran was booed consistently by a section of Rossies fans during the two counties' drawn All-Ireland SFC quarter-final until he was substituted in the 58th minute. 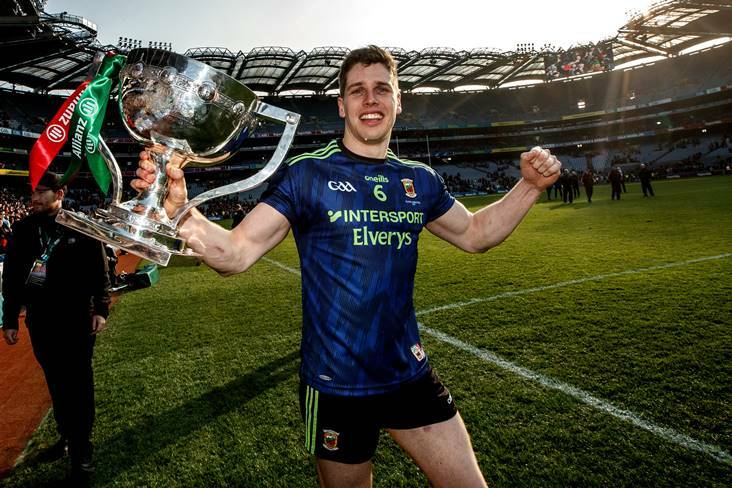 Moran did not endear himself to the Roscommon faithful when he kissed the crest on his Mayo jersey after scoring the winning goal in last January's FBD Connacht League encounter between the neighbouring counties and it seems they didn't forgiven him for it. In the days after the drawn derby, the Roscommon management and players issued a statement condemning the fans that had booed Moran. All-time Kerry great Colm Cooper caused a bit of a stir in September when he announced that he'd be having a testimonial dinner in Dublin. 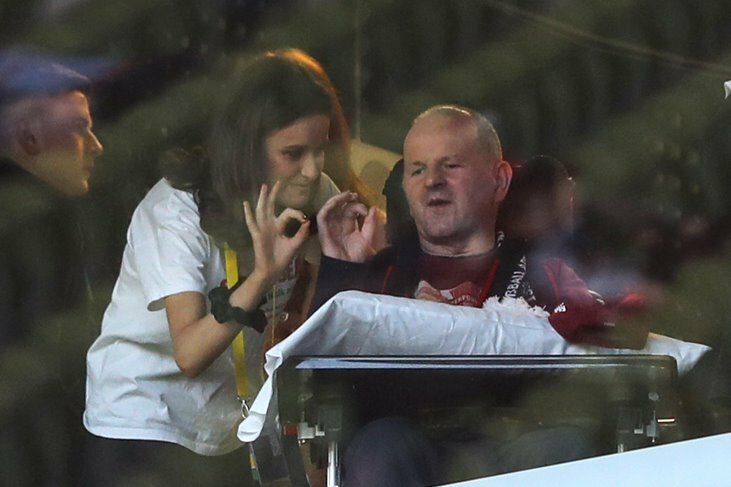 The Dr Crokes star would be the first GAA player to hold such an occasion and, needless to say, it drew some criticism along the way - none more so than from his fellow RTE pundit Joe Brolly. 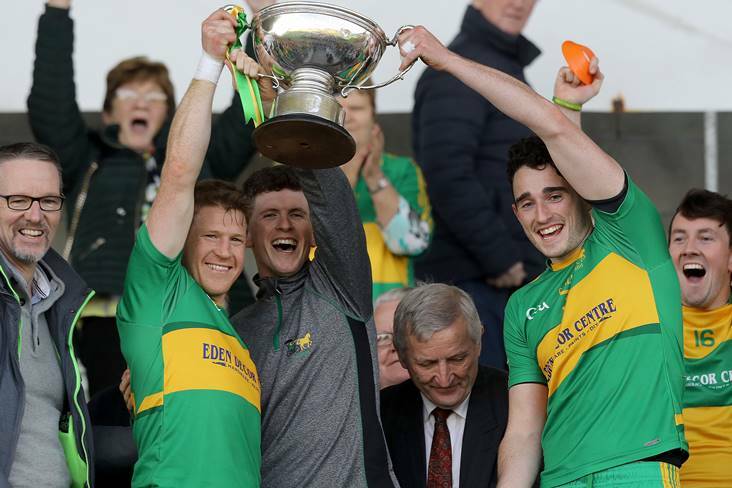 Brolly described the testimonial "as cheap and self-serving" while Cooper's fellow Kerry man Pat Spillane said it set a "dangerous precedent" and was "another step away from the roots of the GAA". The event itself took place on October 27th at the Intercontinental Hotel in Ballsbridge, where the cost of booking a table of 10 for the dinner was €5,000. Former Ireland soccer international Niall Quinn and jockeys Ruby Walsh and Barry Geraghty were just some of the sports stars that attended, with Cooper's former team mates Kieran Donaghy and Paul Galvin also turning out as well as Dublin's Bernard Brogan. Radio presenter Matt Cooper hosted.